2Timez is a Boston Massachusetts native one of the founding members of Team Jerk Who wears many hats currently; he is music editor of HipHopWeekly Magazine #1 hip hop magazine in the country. He also Dj's the “New at 2"on B87 FM every Monday through Friday from 2pm-3pm,and you can catch him playing the hottest hits on Saturday nights from 6pm-9pm as he represents the 617 . 2Timez has strived to be undefined and to play music for people worldwide. He has performed professionally as a DJ and music producer with over 20 years of experience. Early in his career as a member of The Hang Men 3 production team he worked with many Grammy award winning artists including Teddy Riley, Dionne Warwick, Nas, Raekwon and Prodigy of Mobb Deep and many more. As a recognized DJ he was commissioned as an international touring DJ for Made Men as they toured with rapper Ja Rule, singer Ashanti and The Cash Money & Ruff Ryders Tour. 2Timez is well known for his effortless ability to blend musical genres for any crowd, capturing cutting edge sound as well as those that are considered classic and timeless. 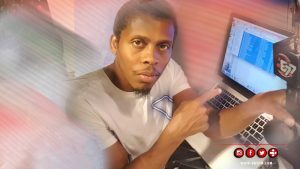 2Timez continues to amaze audiences with his unique ability to connect with any and everyone within his reach. Whether you need a DJ for a party or an event guaranteed 2timez will take it to a whole new level! Not since the late ’80 when dancehall sound systems such as Jamaica’s Stone Love Movement and King Addies in New York City who were acknowledge as two of dancehall’s most popular figures had a dancehall DJ attained such prominent status among the masses as Boston’s DJ Jeunya Kool aka DJ JKool and Evalast Movements. Throughout the 1990s as a youngster he was an impact player in Boston’s large local reggae music scene, capable of making or breaking artists with his homegrown position as the city’s top young deejay/selector. By the mid '90s, JKool was getting involved with designing billboard and leaflets for most of the clubs in the metro Boston area, the Avalon, and his years of experience as a selector provided him with keen earring for mixing, which made the transition to producing a seamless one. He gained additional technical skills as a top recording arts student at Arts Institute of Boston, formerly Massachusetts Communications College. After completing his degree, JKool designed and built his own studio and created his own recording label. His talent for recording and mixing tracks became well known throughout the Boston and New England area. A decade later, as a producer, he had creative input on Reggae, Soca, Hip-Hop, Reggaeton, and R&B projects. His well equipped studio and production expertise are often requested by well-known reggae artists such as Beenie Man, Richie Spice, Freddy McGregor, Mad Cobra, Delly Ranx, and TOK amongst others. He is one of the world’s few Djs who possess a production degree in the arts of making reggae music. At the end of the decade, JKool had not only established himself as a serious music man through his producing and production ability, but his popularity only continued to rise, landing him a coveted position as a resident DJ on Boston’s fame Lansdowne Street, home of Avalon Ballroom (now the Boston House of Blues), which was named America’s Super Club multiple times over the past 10 years. Though dancehall DJs such as Rory from Stone Love and Toney Matterhorn from King Addies had been recognizable names in the late '80s and '90s, JKool was the first reggae dancehall DJ without any big name sound affiliation to match the popular success of that magical time in reggae dancehall’s history, harking back to the early days of dancehall when the DJ overshadowed the MC. A native of St. Elizabeth, Jamaica, JKool was born as Cecil White and migrated to the United States with his parent in 1987, at the young tender age of 11. Only one year later he bought his first set of turntables at the age 12, influenced by early dancehall DJs such as Barry G, he set to perfect the art of entertaining people with his djing abilities. His genius as a selector/dj and music man made him the obvious choice to open for artists such as Rihanna, Damian Marley, Collie Buddz, Beenie Man, Sean Paul, Buju Banton, and Capleton. During a performance at Boston’s Monster Jam, 3 times Grammy winner Damian “Jr Gong” Marley requested J Kool to be his backing DJ for an estimated sold-out audience of 18,000 people. To his credit, he has since done numerous DJ backing duties for the Multi-Grammy winning artist across America and beyond. JKool & Evalast Movement also hold the distinction of being the only sound/dj in the world to tour America with the likes of Gregory Isaacs, Buju Banton, Capleton, Morgan Heritage, and more on the One Love Fest Tour, which was the last dancehall tour to tour the entire United States. 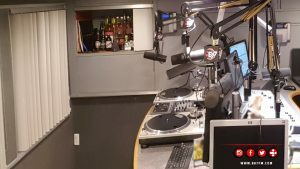 In the past 10 years, JKool has embarked on a radio career as Dj and co-host of America’s #1 rated dancehall/reggae program, Inside Dah Dancehall, which at one point was a top ten Podcast radio show on the I-tunes podcast network nationally. In 1990, JKool released his first mix album, Mix-up Vol. 1, and followed this album with two more volumes all of which were distributed independently to the end of the '90s. In 1998, he mixed a collection of Dennis Brown's biggest dancehall reggae anthems for the Best Of Dennis Brown, along with a new Lover’s Lane series. 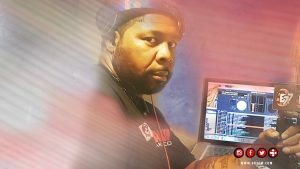 In addition to being a radio DJ, studio engineer, and successful mix tape artist, JKool has also served as a studio consultant for various studios throughout Massachusetts and New England. Today, DJ JKool has proven he is a lover of music whose style and approach transcends genres. His versatility makes him an easy selection to musically entertain all. He appeals to the young; the old, reggae/soca, and hip hop lovers. He lives for the music and the joy it brings to his audience whether he is playing inside the dancehall or giving creative input on a recording. DJ Prince Kani is one of Boston's hottest young DJs who recently join B87 family of DJs. As leader of his own DJ Sound System, Guardian International Sound, DJ Prince Kani is well versed in multiple musical genres. 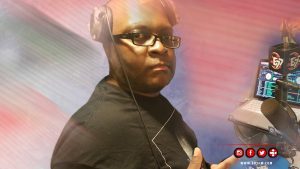 Currently, DJ Prince Kani host/mix on two shows…Fever Fridays and B87's official Soca showcase on Sundays. DJ Marlon has been a longtime Boston DJ who recently join B87 family of reggae/dancehall DJs. He is well versed in music from all parts of the Caribbean. In just a few months, his show has become a fan favorite amongst Boston’s reggae and music lovers. 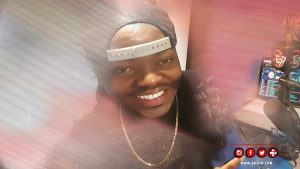 Currently, DJ Marlon host/mix on two shows…Fever Fridays and the very popular Rockers Program with host Reggae Isis on Mondays.